Owing to our vast industrial experience, we are dedicatedly involved in supplying and trading a comprehensive array of GSM Modems. The offered range is strictly in adherence with the predefined quality standards and widely reckoned in the market for its hi-end technological features & advantages. 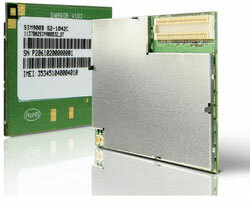 This is an ultra compact and reliable wireless module. 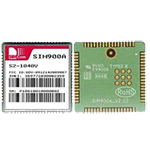 The SIM900A Module is a complete Dual-band GSM/GPRS solution in a SMT module which can be embedded in the customer applications allowing you to benefit from small dimensions and cost-effective solutions. 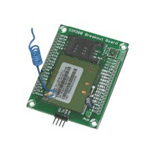 The SIM5218 Module series is Tri-Band/Single-Band HSPA/ WCDMA and Quad-Band GSM/GPRS/EDGE module solution which supports up to 7.2Mbps downlink speed and 5.76Mbps uplink speed services. 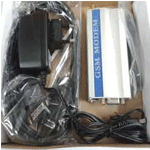 It has extension capability with rich interfaces including UART, USB2.0 high speed, Embedded SIM Card, GPS etc. Abiding by the set industrial guidelines, we have bring forth quality tested GSM Antenna for our valuable customers. 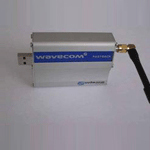 The offered antennas are widely used for increasing the range of varied RF modules in a economical manner. Our organization is dedicatedly engaged in supplying and trading highly qualitative GPS Receiver. The range we offer under this category includes GPS Gmouse Mini GPS Receiver GPS Module / Receiver and GPS External Active Antenna. 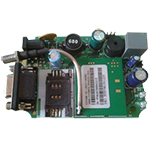 The GPS chip fitted inside the modules are designed by leading digital medium provider company, Media Tek Inc.. These module The GPS solution enables small form factor devices and can support up to 66 channels.